Yes! The third Spotlight in Malaysia (after the launching of its second store at IPC) and also known as its largest store that located in The Mines Shopping Mall. The store at The Mines Shopping Mall will welcome shoppers in its 31,000 sq ft retail space. Shoppers will surely be spoilt for choice with over 100,000 vast selections of heavenly delights in six categories, ranging from Home Furnishings, Manchester (bedding), Home Decor, Dress and Fashion Fabrics, right down to Craft, Hobby and Party Essentials, all at attractive prices! I thought am going to do something different for this post. 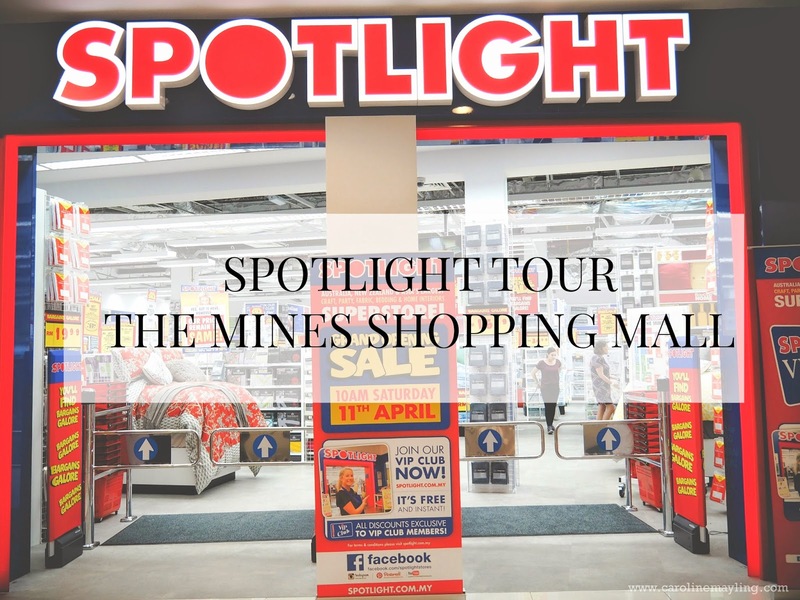 I tried my best to film a short tour during the media launch of Spotlight at The Mines Shopping Mall early this month! As you can see, Spotlight has got your every need covered. Coveted for its pit-stop concept, Spotlight is a place for people who are passionate about home furnishings, handicrafts and fabrics. It is also a haven for those planning a party, breathing new life into the home interior, pursuing home-bound hobbies and more. To celebrate this joyous occasion, we also have Lisa to demonstrate and exhibit her creativity on how she turned Spotlight's fabrics and haberdasheries into two masterpieces - the much-loved floaty whimsical Elsa's summer costumer as well Rapunzel's dress in the movie Tangled! I hope you guys enjoy the mini vlog here! And yes, Spotlight always have the best price with great quality products in store! Mines Resort City 43300 Selangor Darul Ehsan.